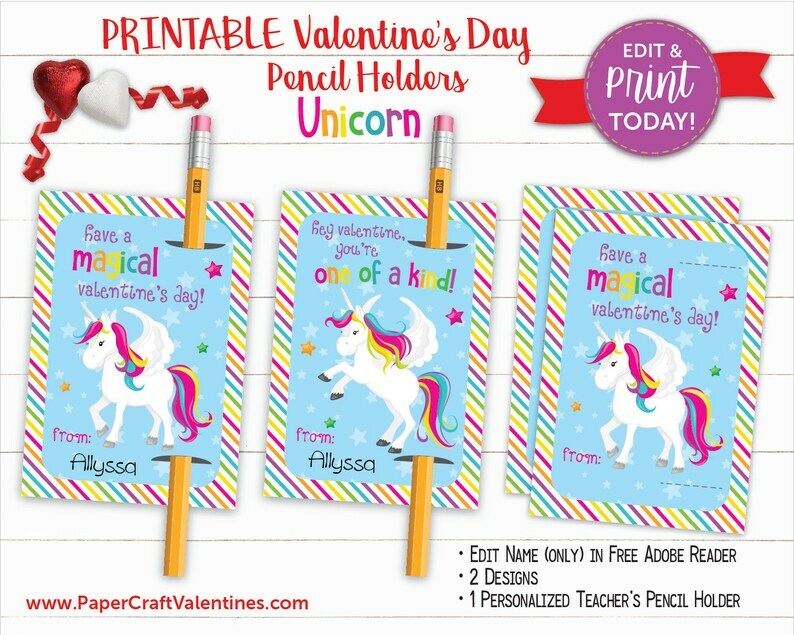 ♥ Printable Unicorn Valentine Pencil Holder ♥ Instant Download! ♥ Attach pencils, bubbles, Pixy Stix or glow sticks! • 4 (3.5" x 5") Pencil Holder Cards. Type in child's name or delete and handwrite! [ONLY THE NAME IS EDITABLE]. • BONUS 3.5" x 5" Teacher's Pencil Holder Card! Personalize with your teacher's name. My daughter loved these valentine's and was so excited to pass them out at school!